Young Eezy back like he never left Boston, but he did. Asking for forgiveness for this summer hiatus, Daddy has been sucking down subs across the globe, and the metaphorical meat of this blog is bursting out of the roll. We got more material than hammer pants, baby, and the break buster comes in from the heart of Boston. Or is it the back of Boston. Either way, tucked in between unbearably bougie restaurants and high end shops on Newbury St., creatively named Trattoria Newbury sports a lovely little patio outside of a basement-level lair with several tables and a bar. This hidden gem definitely has the best deals on Newbury when you get tired of the handbag market and you are in the beer and food market. Featuring $3 quality drafts from Clown Shoes, Palm, and Birra Moretti, the ethnically ambiguous staff also serves heaping lunch options at great prices. 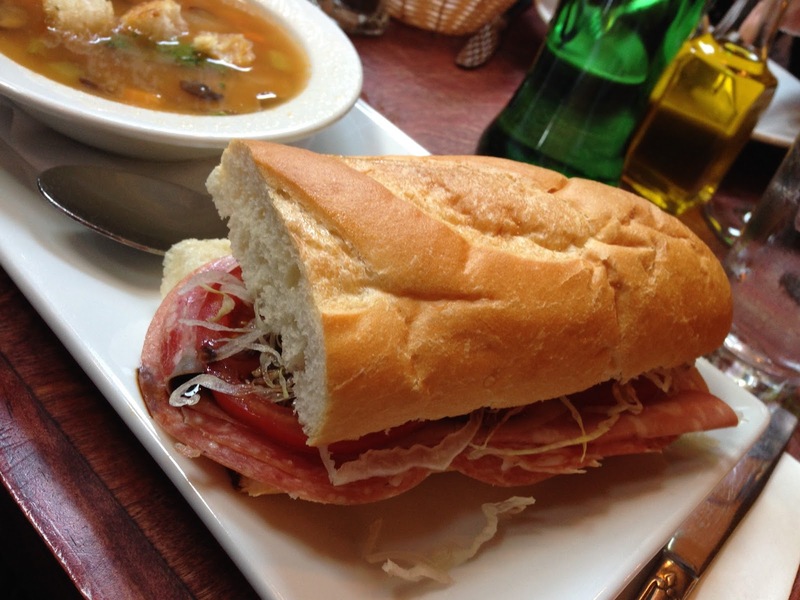 They offer a variety of sandwiches, pizzas, and other Italian specialties, and the soup and a half sandwich deal comes in at under $10. 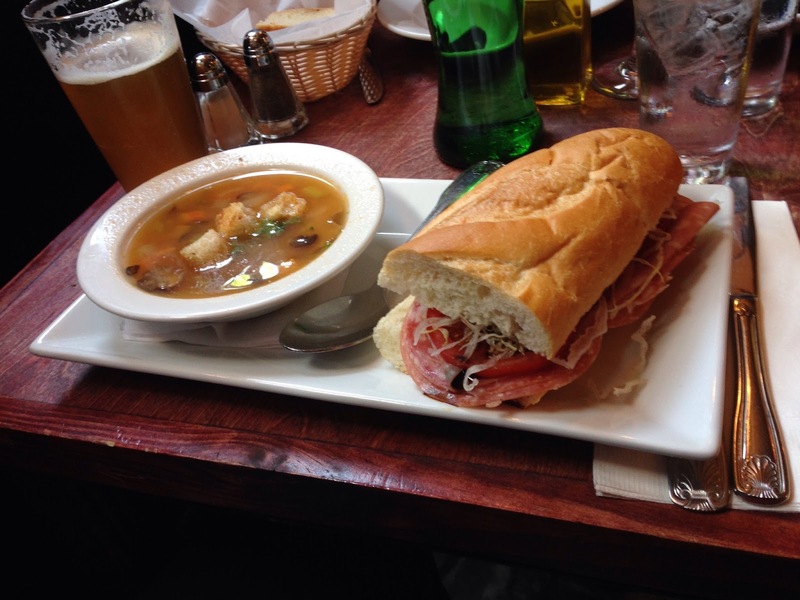 The Italiano has everything you want in an Italian. All of the essential ingredients are there. The sub roll here is soft and sliced all the way through, which allows for even layering of ingredients. They use balsamic vinegar, which is a no no for Matt Bonez, but it adds zing where the hots are lacking. While the soup and sandwich special is a good deal, the meat is a bit skimpy on the sandwich. For Newbury St., the sandwich is great, but this sandwich is not anything to leave Revere for. If you're still reading, buy a shirt and check us out on Twitter (@subsandstuffbos), Instagram (@subsandstuffboston), and Facebook. Stay tuned to www.subsandstuffboston.com for new reviews of the best Subs and Stuff in Boston and around the world.